Observation - Bright Yellow Fungus - UK and Ireland. 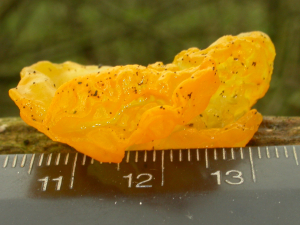 Description: A bright yellow jelly / ear type fungus. A bright yellow jelly / ear type fungus.